The Turkish Youth Philharmonic Orchestra (TUGFO), founded and supported by Sabancı Foundation, will be meeting music lovers at Zorlu PSM (Performing Arts Center) on Sept. 4. The first concert after a 20-day camp period will be offering a feast of music to the audience under the baton of conductor Cem Mansur. The first half of the concert will be dedicated to American conductor, composer, writer and pianist Leonard Bernstein, who was also the tutor of Cem Mansur. The TUGFO will commemorate Bernstein on his 100th year with his works "Divertimento" and "Serenade." Prokofiev's 5th Symphony is also included in the repertoire. The first vocalist of the TUGFO's Istanbul concert will be Russian violinist Alena Baeva. The vocalist who worked with leading orchestras in the world including orchestra conductors such as Valery Gergiev, Paavo Jarvi and Vladimir Jurowski will be on the stage with the young artists to perform "Serenade." Baeva, who made a name for herself with her achievements at a young age will be an example for young musicians. 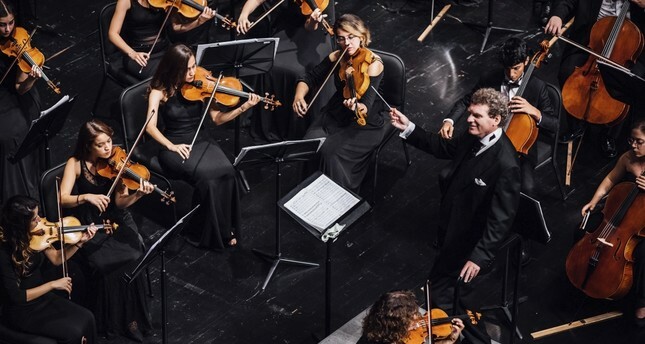 Sabancı Foundation will be offering the opportunity to the Turkish Youth Philharmonic Orchestra to share the stage with leading names of the music world with its support this year as well. TUGFO continues its activities under the roof of the Foundation for the Promotion Cultural Awareness. They give an opportunity to young musicians to have their voices heard and will go on a concert marathon on its 12th year. After their concert in Istanbul, they will be giving 10 concerts in Czech Republic, Slovakia, Austria, Hungary and Poland. Stephen Kovacevich, one of the most important pianists of the 20th century, will be the vocalist of Warsaw concert and Austrian Radio will be sharing the concert in Vienna.